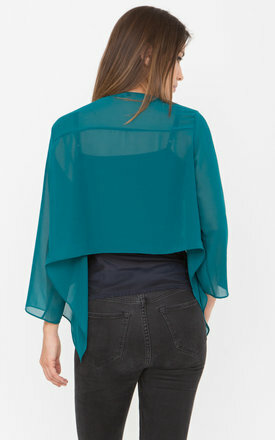 A floaty sheer bolero cover up featuring 3/4 sleeves and a waterfall front that you can leave open or tie. Easy to style either with elegant evening wear or casual daywear. Lovely over a dress, strappy or bandeau top.